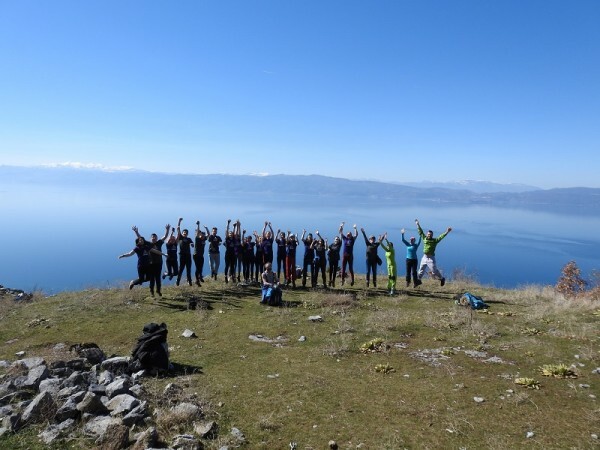 The regional event “Outdoor camp Lagadin” was organized by Ikar Hut, Lagadin, in partnership with the National Park Prespa from Albania, and it was held in the period 3-5 March, 2017 in Ohrid, Macedonia. 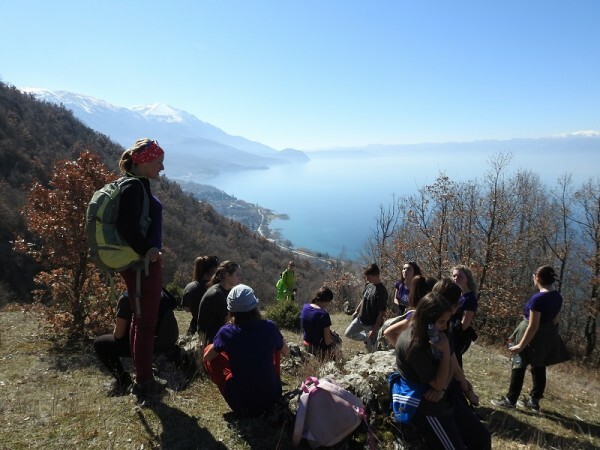 This regional event brought together teenage students from Macedonia and Albania, at the age between 14-16, to learn and practice skills in nature and mountain according to the environmental principles. Considering the low environmental conscious among people, the aim of this regional event was to address youth as the population which could start making changes in how new generations treat the environment. The meeting point for the group on the first day was at the Studencista wetland. Prof. Trajce Taleski from the hydro biological institute had the opening activity with a short introduction about the values of Ohrid and Prespa lakes and the function of the wetland ecosystems as main filters for these lakes. This activity was followed by a short visit to the old town of the monastery St. John Kaneo, before they were hosted and accommodated in Lagadin village. 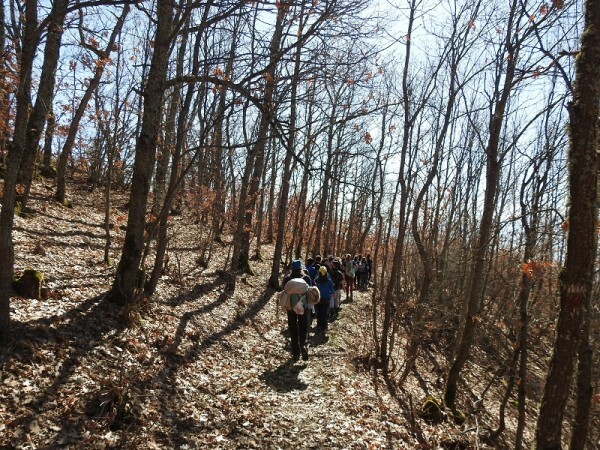 Day 2 started with a hike from Lagadin to Gorno Konjsko and Elshani village, with a stop for a presentation on basic outdoor and safety skills in the mountain, led by Slobodan Sokolovski, a dedicated mountaineer and long-time volunteer of the mountain rescue unit of the Macedonian Red Cross. 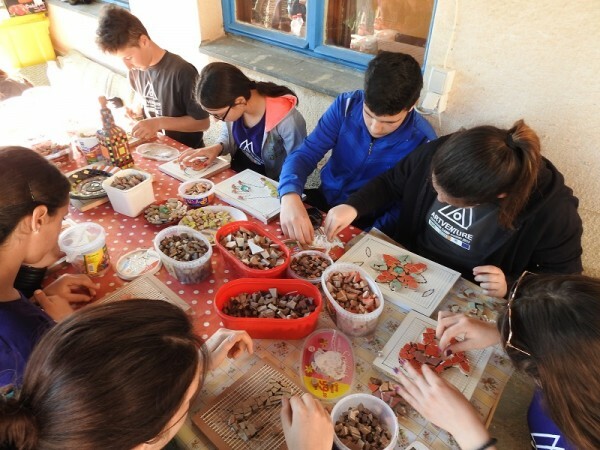 The second part of the day was spent in Ikar Hut garden, where the participants were part of a mosaic workshop with the local mosaic artist Mila Ivanovska. The morning of day 3 began with a surprise when, initiated by the host, all students were demonstrating their dancing skills through the traditional “oro” dances. The morning continued in the Ikar Hut garden, where the children were finishing their mosaics. Just before lunch there was a demonstration of small base camp activity by constructing a tent and demonstrating basic camping equipment. After the lunch the group visited the Museum on water, an early neolith settlement today known as “The bay of bones”. After the visit of the museum, the participants departed from Ohrid to their homes. This activity is part of the European Union funded project: “Fostering regional cooperation and balanced territorial development of Western Balkan countries in the process towards EU integration” implemented by the Regional Rural Development Standing Working Group (SWG) in South-Eastern Europe.